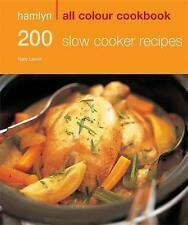 Hamlyn All Colour Cookbook 200 Slow Cooker Recipes. Publisher: Hamlyn. Very Good - Clean & bright condition. May have a few minor defects. Condition: New. Good - Usual signs of a well read book but good overall condition. Hamlyn all colour cookbook: 200 cakes and bakes by Sara Lewis (Paperback)Title: 200 cakes and bakes Series: Hamlyn all colour cookbook Format: Paperback Type: BOOK Publisher: Hamlyn UK Release Date: 20080415 Language: English. 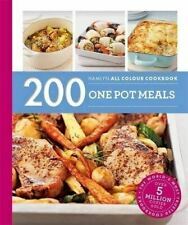 TITLE: Hamlyn All Colour Cookbook 200 Halogen Oven Recipes. 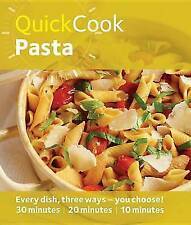 AUTHOR: Hamlyn Cookbooks, Maryanne Madden. PUBLISHER: Hamlyn. BINDING: Paperback. CONDITION: Very Good. Acceptable - Very well read. Reading copy only. Author:Lewis, Emma. Each month we recycle over 2.3 million books, saving over 12,500 tonnes of books a year from going straight into landfill sites. All of our paper waste is recycled and turned into corrugated cardboard. Publisher: Hamlyn. Like New/Excellent - An apparently unread copy in perfect condition. Dust cover is intact with no nicks of tears. Spine has no signs of creasing. Pages are clean. book may caontain a remainder mark on an outside edge. 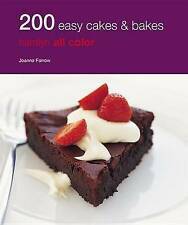 Simply Cadbury's Chocolate: 100 tempting recipesTitle: Simply Cadbury's Chocolate: 100 tempting recipes. Author(s): Joanna Farrow. Binding: Paperback. Condition: Used - Good. Excellent - Used book, read carefully by previous owner, looks New. Publisher: Hamlyn. 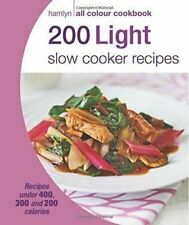 Hamlyn all colour cookbook: 200 more slow cooker recipes by Sara LewisTitle: 200 more slow cooker recipes Series: Hamlyn all colour cookbook Format: Paperback Type: BOOK Publisher: Hamlyn UK Release Date: 03 Jan 2011 Language: English ISBN-10: 0600622096. Hamlyn Complete Cook. Book Binding:Hardback. We appreciate the impact a good book can have. We all like the idea of saving a bit of cash, so when we found out how many good quality used books are out there - we just had to let you know! Title: Hamlyn Curry Cook Book Item Condition: used item in a good condition. Publisher: Hamlyn ISBN 13: 9780600322726. Binding: Hardcover Language: english. Will be clean, not soiled or stained. Book Details. Author:Farrow, Joanna. We appreciate the impact a good book can have. We all like the idea of saving a bit of cash, so when we found out how many good quality used books are out there - we just had to let you know! Author:Skipper, Joy. We appreciate the impact a good book can have. We all like the idea of saving a bit of cash, so when we found out how many good quality used books are out there - we just had to let you know! 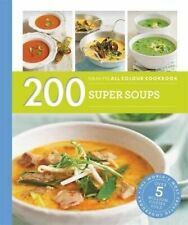 Hamlyn All Colour Cookery: 200 Super Salads: Hamlyn All Colour Cookbook. Each month we recycle over 2.3 million books, saving over 12,500 tonnes of books a year from going straight into landfill sites. Publisher: Hamlyn. Acceptable - Very well read. Reading copy only. May contain notes & highlighting. Very Good - Clean & bright condition. May have a few minor defects. Author: Hamlyn. Publisher: Hamlyn. Publication Date: 2016-10-06. Excellent - Used book, read carefully by previous owner, looks New. © 2018 Christian Murray. Hamlyn healthy eating: The vegan cookbook: over 80 plant-based recipes by TonyTitle: The vegan cookbook: over 80 plant-based recipes Series: Hamlyn healthy eating Format: Paperback Type: BOOK Edition: New edition Publisher: Hamlyn UK Release Date: 20140707 Language: English. Risotto (Hamlyn Cookery). Book Binding:Paperback. Each month we recycle over 2.3 million books, saving over 12,500 tonnes of books a year from going straight into landfill sites. All of our paper waste is recycled and turned into corrugated cardboard. Title: 200 Fab Fish Dishes: Hamlyn All Colour Cookbook (Hamlyn All Colour Cookery) Item Condition: used item in a very good condition. Publisher: Hamlyn ISBN 13: 9780600619321. Used-Very Good: The book will be clean without any major stains or markings, the spine will be in excellent shape with only minor creasing, no pages will be missing and the cover is likely to be very clean. 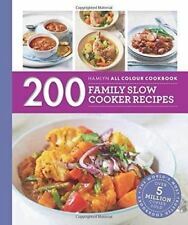 Hamlyn all colour cookbook: 200 slow cooker recipes by Sara Lewis (Paperback)Title: 200 slow cooker recipes Series: Hamlyn all colour cookbook Format: Paperback Type: BOOK Publisher: Hamlyn UK Release Date: 20091102 Language: English ISBN-10: 0600620697. 4 Ingredients Student Cookbook. Book Binding:Paperback. Each month we recycle over 2.3 million books, saving over 12,500 tonnes of books a year from going straight into landfill sites. All of our paper waste is recycled and turned into corrugated cardboard. Hamlyn All Colour Cookery: 200 Tapas & Spanish Dishes: Hamlyn All Colour Cookbook. Author:Lewis, Emma. Each month we recycle over 2.3 million books, saving over 12,500 tonnes of books a year from going straight into landfill sites. Title: The Hamlyn All-Colour Indian Cookbook Item Condition: used item in a good condition. Will be clean, not soiled or stained. Published On: 1997-07-15 SKU: 8765-9781851529902. Hamlyn all colour cookbook: 200 chocolate recipes by Felicity Barnum-BobbTitle: 200 chocolate recipes Series: Hamlyn all colour cookbook Format: Paperback Type: BOOK Publisher: Hamlyn UK Release Date: 20080815 Language: English. Author:McAuley, Jo. Student 365 (Hamlyn Quick Cooks). Each month we recycle over 2.3 million books, saving over 12,500 tonnes of books a year from going straight into landfill sites. All of our paper waste is recycled and turned into corrugated cardboard. 200 Juices & Smoothies: Hamlyn All Colour Cookbook (Hamlyn All Colour Cookery). Author:Harry Styles. Each month we recycle over 2.3 million books, saving over 12,500 tonnes of books a year from going straight into landfill sites. Publisher: Hamlyn. Very Good - Clean & bright condition. May have a few minor defects. Condition: New. Good - Usual signs of a well read book but good overall condition. Excellent - Used book, read carefully by previous owner, looks New. 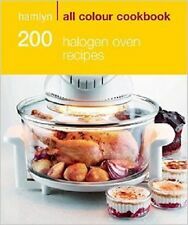 Hamlyn All Colour Cookery: 200 Halogen Oven Recipes: Hamlyn All Colour Cookbook. Author:Madden, Maryanne. Each month we recycle over 2.3 million books, saving over 12,500 tonnes of books a year from going straight into landfill sites. 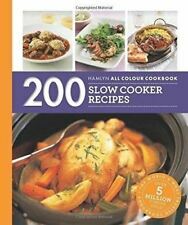 Hamlyn All Colour Cookery: 200 Slow Cooker Recipes: Hamlyn All Colour Cookbook. Author:Lewis, Sara. We appreciate the impact a good book can have. We all like the idea of saving a bit of cash, so when we found out how many good quality used books are out there - we just had to let you know! Publisher: Hamlyn. Very Good - Clean & bright condition. May have a few minor defects. Good - Usual signs of a well read book but good overall condition. Acceptable - Very well read. Reading copy only. Hamlyn all colour cookbook: 200 cocktails (Paperback)Title: 200 cocktails Series: Hamlyn all colour cookbook Format: Paperback Type: BOOK Publisher: Hamlyn UK Release Date: 20081006 Language: English. Little Book of Champagne Cocktails (Little Book of Cocktails). Book Binding:Hardback. Book Condition:GOOD. We appreciate the impact a good book can have. We all like the idea of saving a bit of cash, so when we found out how many good quality used books are out there - we just had to let you know! Author: Hamlyn ISBN 10: 0600609650. Publisher: Hamlyn ISBN 13: 9780600609650. Title: The Student Cookbook (Cookery) Item Condition: used item in a good condition. Will be clean, not soiled or stained.